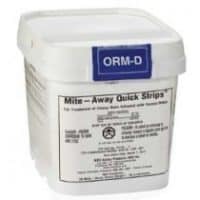 The Varroa Mite wash is an important tool to have on hand for reliable Varroa monitoring. 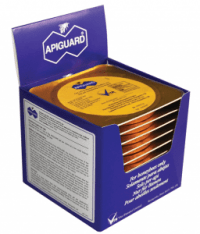 It provides beekeepers, both commercial and hobbyists, a way to diagnose Varroa infestation levels quickly and efficiently. 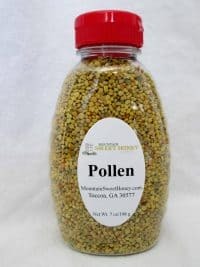 We highly recommend for all beekeepers to have one of these. Made from durable plastic with a tight-fitting, leak-free lid. Features 2 molded guidelines on the basket to know how many bees are collected. 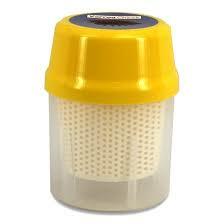 Mites pass through holes in the base and sides of the filter basket. The transparent bowl allows for accurate counting and reliable sampling. Washing fluid such as winter windshield washing fluid (containing alcohol); or rubbing alcohol diluted with water at a 1:4 ratio. The washing process can make the bees quite irritable. We recommend to wear protective clothing, including gloves. 1. Collect the Bees: Pour just enough of the liquid in the bottom of the container to cover the bottom of the white basket. Choose a frame of capped brood and locate the queen, isolate and protect her. Collect a sample of bees* and place it inside the basket. You can collect the sample using the device (keeping the basket inside the bowl) or you can use your own preferred method. When the desired level of bees is reached**, place the basket into the bowl containing the washing liquid. Place and twist the cover into place and shake once to immerse the bees in the liquid to prevent them from escaping. Remove the lid and fill the bowl with enough washing liquid to cover the bees, but the top of the label should be roughly accurate if that is a better indicator. Replace the lid and tighten. Gently shake the Varroa Check tool up and down for 60 seconds. Shake gently to prevent foaming. Shake vertically, from side to side, or rotate it to optimize separation. Count the mites by looking through the transparent bowl or after removing the basket of bees. After counting the mites you can filter the liquid through a very fine sieve into a collecting container for future use. When discarding the liquid pour into a place that does not pollute the environment. *Recommended sample size is about 300 bees (top level indicated on the basket. **Minimum sampling is 200 bees (bottom level indicated on the basket). How to calculate the percentage of infestation? If a 300 sample was used, divide the number of observed mites by 3. For a 200 sample, divide the number of mites by 2. 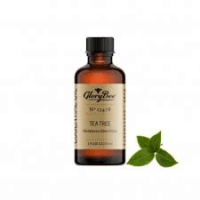 Tea Tree Essential Oil – 1 oz.